A delegation from the Consulting Research and Studies Institute visited the UQU Vice President for Development and Entrepreneurship Dr. Hani bin Osman Ghazi on Wednesday Dhul-Hijjah 18, 1439 H.
During the visit, the Dean of the Consulting Research and Studies Dr. Ali bin Mohamed Al-Shaari made a detailed presentation on the achievements of Umm Al-Qura Oasis for Consultation for the academic year 2017-2018 including; the statistics and achievements made in line with the objectives of the Kingdom Vision 2030 programs which were activated in form of research studies, programs, training courses, events and various consultations provided by a consultation of experts working in the different advisory units and centers of the university. 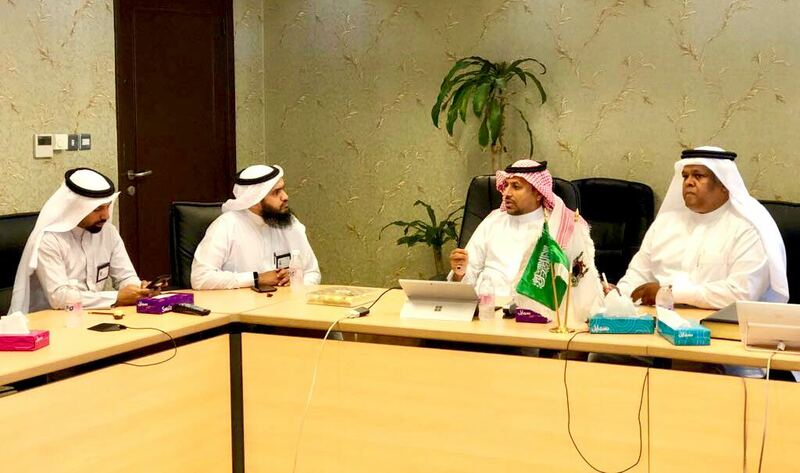 The meeting witnessed participation of the Vice Dean of the Institute for the Support of Professional Accreditation Dr. Ra’ed bin Abdul Rahman Shalwala, and the Vice-dean for Work Development and Implementation Dr. Abdurrahman A. Majrishi. 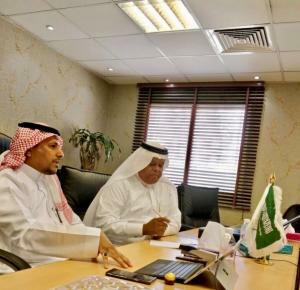 At the conclusion of the meeting, Dr. Han Ghazi praised the efforts exerted by Umm Al-Qura Consultation Oasis represented in the participation, events, consultancy studies, professional accreditation and support programs. He then prayed to Allah to grant the institute success in all fields.